Dubai is known for its obscene displays of wealth, and the tradition is continuing with the new Bugatti-inspired houses from DAMAC Properties. Starting at a very reasonable 35 million Dirham (that’s just $9.5 million USD! ), the homes - er, excuse me, villas - “are conceptualized by the designers of the world’s fastest street-legal production car, the iconic 1,200hp Bugatti Veyron and stylishly reflect its distinctive curved front,” according to the press release. The DAMAC release goes on to say, “The design also includes an indoor vehicle display area, with glass panels through to the living quarters, so you can admire your car from the comfort of your sofa.” You know, so you can look at your Bugatti in your Bugatti house. 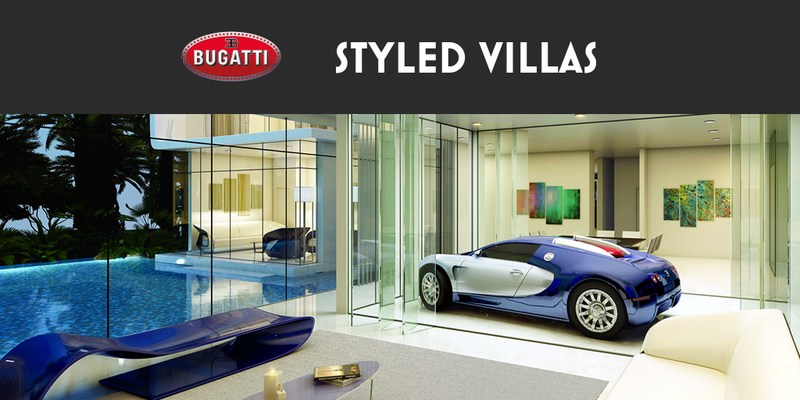 In case Bugatti-ception isn’t luxurious for you, the villa is situated on a golf course designed by Tiger Woods and adjacent to “the region’s first Rainforest,” because apparently if you’re rich enough, you can put a Bugatti house in the rainforest in a desert. It’s unclear how many horsepower the house will have, but we do know someone who might be interested in buying it.